Open Space Explorer Camp begins July 10! 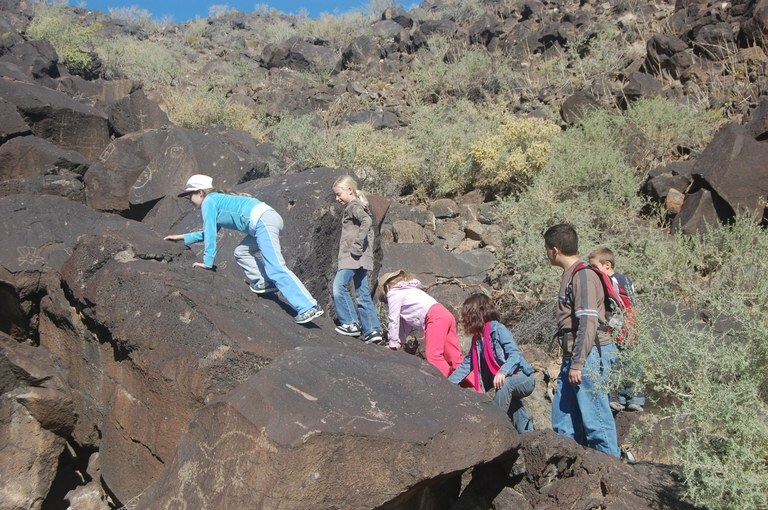 Kids will participate in interactive learning about Albuquerque’s environment and natural surroundings. The City of Albuquerque’s Parks and Recreation Department is launching a new Open Space Explorer Camp for kids ages 5 to 11 beginning July 2018. The camp was created with new investments in after school and summer programming for Albuquerque’s kids in the FY 2019 budget. Kids will have the opportunity to learn more about their natural surroundings through interactions with New Mexico’s environment and landscapes. Staff at the Open Space Visitor Center will provide guided instructional and recreational activities during the month of July. Kids will take guided tours through the Bosque, gain an understanding of how nature influences local artists, and explore the Visitor Center’s gardens filled with native vegetation. They will take part in crafts, games, activities and more throughout the month. The Explorer Camp is intended to help Albuquerque’s kids gain a better understanding of the environment and our City’s natural surroundings. The camp begins July 10, 2018 and will run every Tuesday, Wednesday, and Thursday through July 28. Registration is $12.50 per participant per week. Kids are encouraged to bring water, a hat, sunscreen, a snack and/or lunch. To register or to get more information, call Reid Schmidtbauer at 505-897-8859 or email [email protected]. WHEN: July 10 – July 28, 2018. Tuesdays through Thursdays from 9:00 a.m. until 12:30 p.m.